Hello, everyone! Welcome to Thinkingz Patreon. This Patreon page founded from my hobby and my interest for Minecraft. I will create and share Art-assets contents for Minecraft. My contents are Illustrations, Skin, Wallpaper, Animation, Texture pack, Modeling and Assets for Minecraft. Mostly, Skin and Wallpaper. I also have plans for a few Animation content, but right now.. I don’t have enough budget to do so. + Every month, I will set a “Theme” for the wallpaper and skin as rewards for those months. You are free to vote whichever theme you like! + Zombie rank will get this month’s wallpaper, skin, and mores! I send rewards monthly. All of my Patrons have access to all previous rewards! You can get your rewards for this month and previous months at the Posts section. If you like my contents, please consider pledging. Either with a small amount or large amount, I will gladly accept it. It means so much to me. If you have any questions, feel free to contact me from the link below. + Access to feed of updates. + Access to poll to vote. + You will receive this month’s theme skin and wallpaper. + You will receive 3D Props Models ".Obj"
+ You will receive wallpaper making tutorials step by step! + You will receive wallpaper. At least 2-3 wallpapers per month! + You will receive set of skin. 1 set of skin per month! 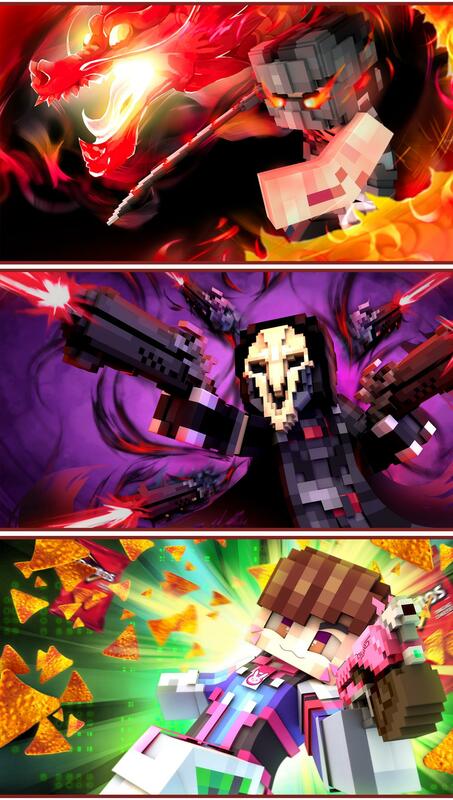 + You will receive this month’s theme wallpaper with your skin on it! If you want it you can send message to me. + You can request me to make a skin and I will surely do so for you!! (I will give you the skin by the end of the month or early next month). If you want to request you can send message to me.
! !Every month, I will create a poll to vote for the theme as a reward for next month. + You can request me to make a wallpaper and I will surely do so for you!! (I will show you the skin’s image by the end of the month or early next month). + You will receive scene, material, assets, .PSD, files and more! Thank for the tips!! This will surely lower my living expenses and also my education fee!